SO LONG, COLORADO; HELLO, SOUTH DAKOTA! – Three Souls Adventuring! SO LONG, COLORADO; HELLO, SOUTH DAKOTA! Our Month in Colorado, fell conveniently into two distinct halves; divided by a significant geological formations- The Rocky Mountains! On the Western half, we enjoyed several weeks in Grand Junction; dry camping a couple days, while receiving small repairs on the rig, a couple more days at a commercial campground, and a week at the local Moose Lodge, which had electric. There were local festivals, wineries, The Colorado Monument mountains, and a “near-death experience on the Grand Mesa, at the National Forest. Note here: Ford Escapes are not 4-wheel adventure vehicles, but ours did admirably on very rocky terrain, where turning back seemed not advisable. Finally, Ouray and surroundings host a variety of hot spring pools; warm water & newer facilities were great at the site we visited. There was a “clothing optional” venue for adults; where the facilities were older and dimly lit. While Colorado’s Western side seemed much like Southern Utah; the Easter side is greener and more cosmopolitan. We camped the entire two weeks at the Boulder County Fairgrounds, in Longmont, which gave access to horse shows and a farmer’s market. We made several trips into Boulder itself for Bands On The Bricks & Unity Church. The Longmont Moose Lodge is great, with electric too; but while we suppered there, we liked the fairgrounds for our camping. We also traveled to Golden and the U.S. Air Force Academy, in Colorado Springs! 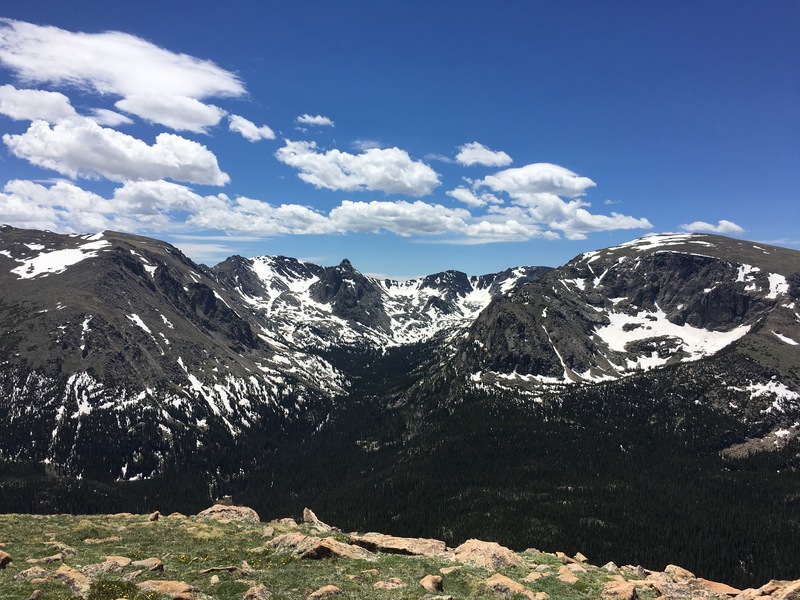 But the highlight was the two visits to Rocky Mountain National Park; really a “peak experience”! The end of June, led us Northward to South Dakota and Mount Rushmore. More on that, next visit! Previous Previous post: WORKING ON THE ROAD! Next Next post: SOUTH DAKOTA: Who Knew?? ?